Federal Lawsuit Challenges License Suspension in Florida: Will This Impact Personal Injury Law? There are many reasons why a person can lose a driver’s license in Florida, and not all of these reasons are driving related. For instance, you can lose your license for acts of vandalism, such as graffiti, truancy, and for not being able to pay court fees. These laws currently put poor and disenfranchised communities at a disadvantage. They essentially say—if you can’t pay court fees, you can’t drive. In Florida, being able to drive often gives individuals access to better job opportunities. The old laws create a cycle where individuals are penalized for small crimes in a way that then limits their ability to move freely through the community. While there are many risk factors for dangerous and negligent driving, there definitely haven’t been many studies to support the link between court fee indigence and car accidents. Youths who commit small crimes such as vandalism or truancy may also find themselves paying the price months later. According to the Miami Herald, a new piece of legislation has been gaining traction in the Florida Senate. The law, if passed, would prevent the government from suspending licenses for non-driving-related offenses. The Miami Herald performed an investigation into license suspensions in Florida and found that as many as 75% of license suspensions were due to non-driving-related offenses. If this law is changed, it would increase the driving population in Florida by approximately 500,000 drivers. Of course, more drivers on the road, statistically, means that there may be greater car accident rates. If anything, the reinstatement of so many licenses should also come with increases in law enforcement and traffic monitoring to keep the public safe. 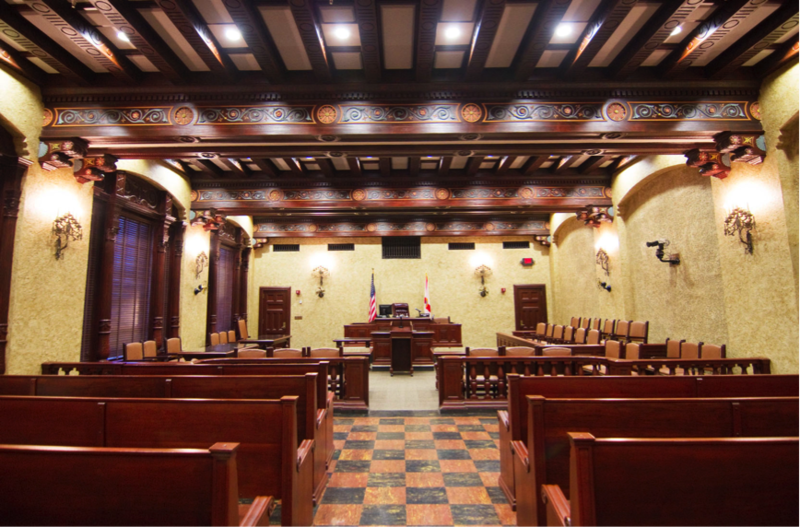 The law is not the only challenge to Florida’s license revocation process. A recent class-action lawsuit seeks $50 million in damages, challenging the way that Florida driver’s licenses are suspended for DUIs. As it currently stands, driver’s licenses are automatically confiscated from drunk driving suspects in Florida. According to the Associated Press, a class-action lawsuit claims that these drivers are being denied proper due process. Due process laws ensure that everyone receives a fair trial before they are found guilty. Drivers who have lost their licenses claim that the automatic confiscation of their license assumes that they are not innocent until proven guilty. Proponents of the law claim that the automatic removal of licenses protects the public from the dangers of drunk driving. If an officer suspects that a person has been drinking and driving, the hope is that the automatic loss of a license will prevent the driver from continuing to drive while under the influence. The law has the potential to take more dangerous drivers off the road. However, it is well-documented that many drunk drivers drive despite having a suspended or revoked license. While the changes in license suspension laws won’t likely affect personal injury law in Miami, Florida directly. The changes may have an indirect impact if accidents increase as a result of the greater number of drivers on the road. The Wolfson Law Firm, L.L.P. works closely with car accident victims and their families to help them receive justice if they’ve been injured by a negligent driver.